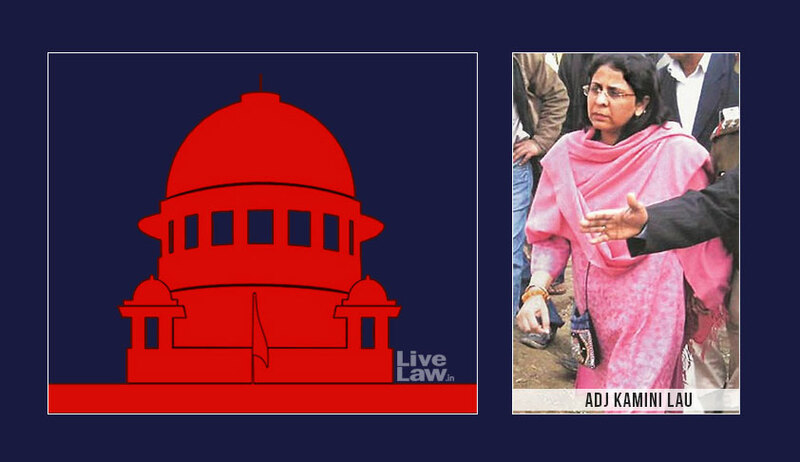 After Justice AM Khanwilkar deemed it appropriate to recuse himself from the matter earlier on Monday, a Supreme Court bench of Chief Justice Dipak Misra and Justice DY Chandrachud heard in the afternoon the Special Leave Petition (SLP) preferred by Kamini Lau, Additional District Judge (ADJ), Tis Hazari Courts, against the judgment dated December 22, 2017 of the Delhi High Court. By the judgment, a division bench of the high court has directed the commencement of criminal contempt proceedings against the ADJ. In addition, the division bench has also ordered an administrative enquiry against the ADJ as to why departmental action should not be initiated against her. The high court also required the concerned Annual Confidential Reports (ACR) Committee of the Court to take note of the conduct of the ADJ in making “unacceptable and unfounded statements” against a single judge of the high court. The judgment of the division bench of the high court was delivered on four applications moved by the ADJ seeking the expunction of allegedly adverse observations made by a single judge of the high court during the hearing of the appeals arising out of the judgments of the ADJ. The ADJ had also prayed for the expunction of the direction of the single judge to refer the judgments of the ADJ impugned before himself to the relevant Committee of Inspecting judges. The apex court, in the afternoon on Monday, required the ADJ to address an unconditional apology to the Delhi High Court. The matter is scheduled for further hearing on January 22.